Browse the newest homes for sale in South Capitol neighborhood in Santa Fe, NM. The South Capitol area of Santa Fe is located within walking distance to the Santa Fe Plaza. This is a residential neighborhood that is home to some of Santa Fe’s only bungalow and craftsman style homes. The classic Santa Fe adobe can be found and is often the choice for those moving to Santa Fe. Santa Fe Real Estate is dedicated to helping you find the home of your dreams. If you are not finding what you are looking for in the Santa Fe MLS, please contact us and we’d be happy to see what we can find! 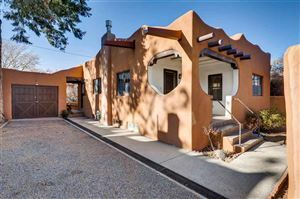 See all Homes for sale in South Capitol Santa Fe.